Far from the quiet neighbourhood of the past, Leslieville has emerged as a trendy pocket of Toronto, oozing with young and creative energy. 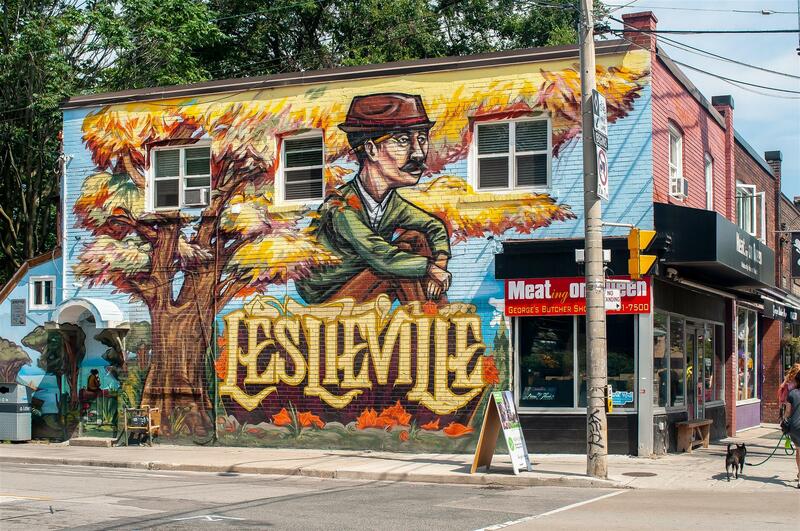 Nightlife, restaurants, shops, events − you name it, Leslieville has it. Location: Leslieville is located in Toronto's East End, less than 15 minutes away from Downtown Toronto. Nearby communities include Corktown and the Distillery District, located west of Leslieville and right across the Don River. The community is bounded by Leslie Street, Gerrard Street, Eastern Avenue, and the Don Valley Parkway. Transportation: Getting in and around Leslieville is relatively stress-free. If you are driving, you can easily take Lake Shore Boulevard, which connects to the Gardiner Expressway. The Don Valley Parkway is another highway that is highly accessible from Leslieville. The nearest subway station is Pape, nearly 4 kilometres from Leslieville's centre. Alternatively, you can take the streetcar lines that run along Gerrard Street and Queen Street. Who lives here: Leslieville is equal parts thriving and peaceful, which is one of the reasons it appeals to a large group of people of different ages and sensibilities. Young, creative types are the movers and shakers of Leslieville now, but you will also find families who have lived in the neighbourhood for a long time. 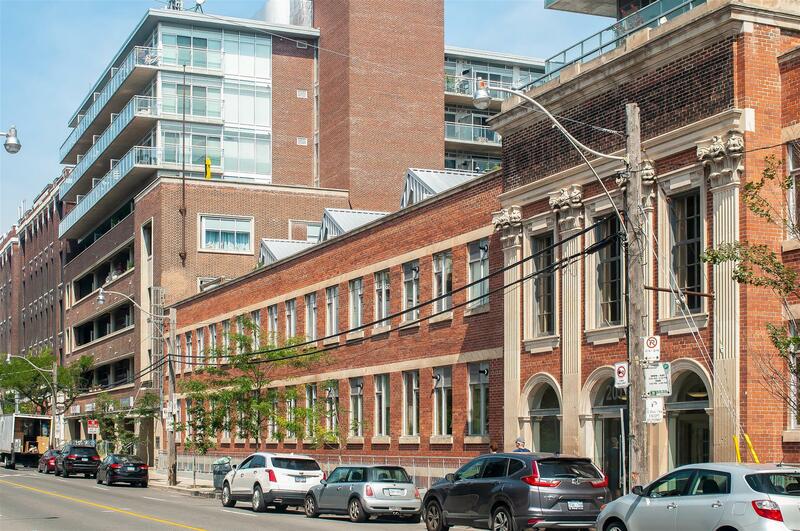 Leslieville has a condo and loft market with diverse real estate offerings. The rapid gentrification of the neighbourhood has paved the path for many housing options of varying prices to open up. 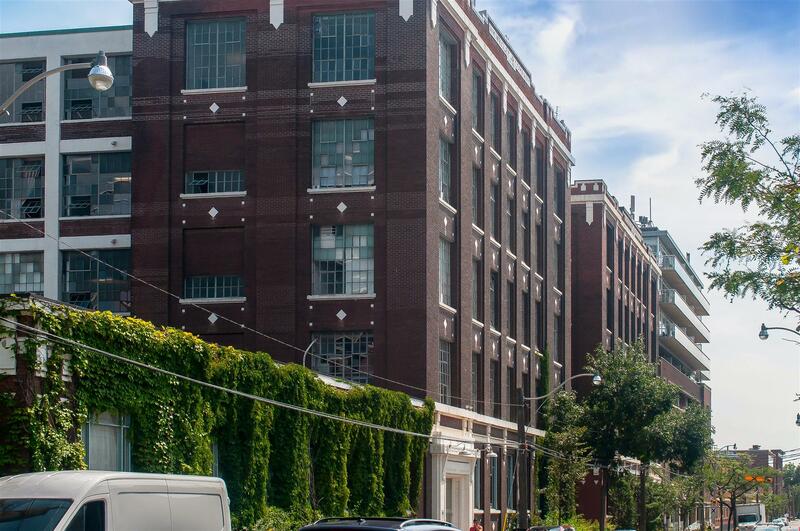 Leslieville is rated as one of the best places in the city for lofts. Some of these are newly built soft lofts, while others are hard lofts located in converted industrial spaces. Leslieville also has a high concentration of hard loft live-work spaces, perfect for creative types who are constantly on the go. Compared to similarly sought-after neighbourhoods in Toronto, condos, and lofts for sale in Leslieville are still reasonably priced. Values, however, are expected to rise as demand for condos and lofts in the area increase in the near future. Now is a great time to invest in a Leslieville condo or loft. Get in touch with Casey Ragan today to explore condos and lofts for sale in Leslieville. Shopping: Whether you are looking for Scandinavian furniture or locally made jewellery, Leslieville has you covered. Some of the stores you will find in the neighbourhood include Scout in Leslieville, On the Other Hand Jewellery, Arts Market, and Black Rooster Decor. Wining & dining: Leslieville is one of the best places in Toronto to wine and dine, with options such as Ascari Enoteca, Eastside Social, Gio Rana's Really Really Nice, Brooklyn Tavern, Maha's, and Goods and Provisions ready to delight the taste buds. Recreation & culture: Shopping and dining not only enhance Leslieville's charm, local culture and recreational options also add flair to the neighbourhood. There are several parks in the area (Jimmie Simpson Park, Leslie Grove Park, and Hideaway Park to name a few), as well as craft breweries (such as Rorschach Brewery Co.), and festivals (like the Leslieville Food & Drink Festival).